The company’s share price soared over 45 percent after the release of positive results from a clinical trial. 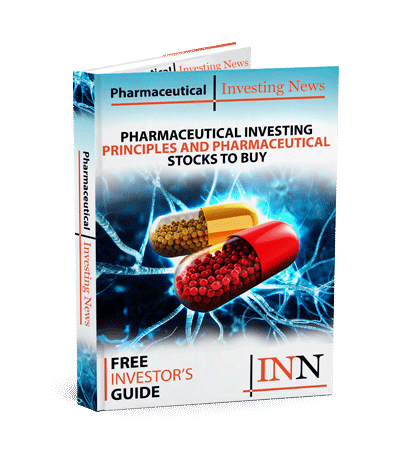 Shares of pharmaceutical company Tricida (NASDAQ:TCDA) soared on Thursday (March 28) following the release of positive data from its long-term clinical trial testing patients with chronic kidney disease (CKD) and metabolic acidosis. According to the company’s announcement, the clinical results of the trial will help advance its TRC101 New Drug Application scheduled sometime in the second half of 2019. The trial, called TRCA-301E, examined the effects of the company’s lead drug candidate TRC101, otherwise known as veverimer, in 196 CKD patients who also have metabolic acidosis. According to the release, TRC101 is the only drug candidate currently available to treat metabolic acidosis, which is a condition resulting from CKD. Over Thursday’s trading period, Tricida’s stock grew by more than 57 percent to close at US$37.80. Throughout the 40-week blind, randomized and placebo-controlled extension trial, Tricida’s drug demonstrated that mortality and development of CKD were both reduced, while the quality of life and physical capabilities of patients improved. The TRCA-301E trial was an addendum to the company’s 12-week TRCA-310 trial in which 217 non-dialysis-dependent CKD and metabolic acidosis patients were randomized and treated with either TRC101 or a placebo. Out of those 217 patients, 196 chose to participate and qualified for the trial extension, with 114 in the TRC101 cohort and 82 placed in the placebo group. From there, 111 TRC101 patients and 74 placebo patients continued with a year’s worth of treatment. “This trial provides evidence of long-term safety and tolerability of TRC101 and proves that the sustained increase in blood bicarbonate led to improvements in multiple clinical outcomes that matter to both patients and physicians,” Donald E. Wesson, M.D., MBA, a professor of medicine at Texas A&M Health Sciences Center College of Medicine and the trial’s lead investigator, said in the release. Klaener added that the primary endpoint of the trial extension was assessment of the long-term safety profile of the drug versus a placebo. He further explained that fewer subjects on TRC101 versus the placebo decided to discontinue the 40-week treatment period early, breaking the comparison down to 2.6 percent TRC101 patients versus 9.8 percent patients treated with the placebo. In terms of “serious adverse events,” that number totaled 1.8 percent of TRC101 patients when compared to 4.9 percent of those that took the placebo. After investigation, none of these incidents were found to be related to the drug trial. “[Tricida] observed a sustained increase in blood bicarbonate in TRC101-treated patients,” Klaener said on the call. He added that two out of the four secondary endpoints evaluated the effectiveness of the drug by comparing blood bicarbonate changes of the drug-treated patients versus placebo-treated patients who completed the entire 52-week treatment period. Metabolic acidosis is an onset symptom that occurs in advanced stages of CKD. Effects of chronic metabolic acidosis include altered skeletal metabolism, resistance to insulin, protein-energy wasting and progression of kidney diseases. The Center for Disease Control and Prevention estimates in its 2019 report that 15 percent of the US adult population, which is 37 million people, has CKD. People aged 65 and older have a 38 percent probability of developing CKD compared to 13 percent for people aged between 45 and 64, and only 7 percent for people aged 18 to 44. Also on Thursday, Tricida revealed that its existing debt facility with Hercules Capital (NYSE:HTGC) has been amended to increase the available amount to up to US$200 million. The company had previously entered the debt facility, which then totaled $100 million, in February of last year. In addition to its jump on Thursday, Tricida’s share price has been rising steadily so far this year. Since January 2, it has seen a 63.49 percent bump in value after ringing in the new year at US$23.12.